The talented men and women who make up the staff of our med spa serving Orlando and surrounding communities work closely alongside Dr. Edward Gross to bring you the best of today's non-surgical skincare options. From relaxing spa treatments to wrinkle-fighting injections, our medical assistants, physician assistants, and aestheticians have the practical know-how and the professional training to help your skin look its very best. Eileen comes to Primera Med Spa with an educational background focused on patient care. She earned her bachelor's degree in health science from the University of Florida, where she remained to complete her master's degree in physician assistant studies. She has been practicing since 2011. Eileen's experience in patient care serves her well in nonsurgical treatments at the practice. She performs our laser skin rejuvenation treatments, along with injectable treatment sessions for BOTOX®, Dysport®, Restylane®, JUVÉDERM®, and RADIESSE®. Eileen is a Florida native who speaks both English and Spanish fluently. When Eileen has some free time, you might find her gardening or enjoying a workout. Some of her favorite activities are spending time with family, traveling, enjoying music, and keeping up with the latest advances in our industry. Hello, my name is Tami Lindner, and I've been a licensed aesthetician since 1999.  I joined the Primera family with a passion to care for my patients and their aesthetic concerns. I am committed to the highest level of patient care and offer the latest in facial aesthetics through high-quality treatments and home care plans. My approach to each patient and his or her individual needs is one that encompasses all of my technical knowledge along with a relaxing and soothing touch. I have completed advanced hands-on training and I am certified with Pevonia®, DDF® Skincare, MEDICALIA®, Obagi®, Environ®, DermaQuest, and SkinCeuticals. Some of my professional affiliations are with the National Coalition of Estheticians Association (NCEA), Aesthetics International Association (AIA), National Rosacea Society (NRS), and the Esthetics Association of Florida (EAF).